Westin Automotive is an aftermarket product manufacturer and parent company of brands including FEY, Wade, Brute, HDX, and Snyper Westin Offroad products. Westin designs and delivers automotive products that give you the look and function you need to fit your active lifestyle. When you choose Westin, you roll with style. Westin Automotive products are proudly designed, tested and engineered in San Dimas, California, USA. Innovation, passion and consistency have made Westin one of the industry's leading manufacturers for nearly 40 years. Our diverse range of products is backed by a superior manufacturer warranty. 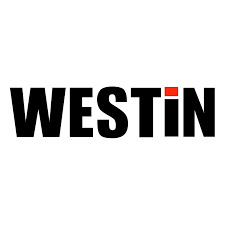 When it comes to your vehicle, Westin is the name you can trust.